Cover Reveal – The 8th Continent! Hi! I’m Matt London, and today I’m very excited to be joining the OneFour KidLit community! Not only am I saying hello, I’m also revealing the cover of my debut novel THE 8TH CONTINENT! Like most of the authors you’ll meet on this blog, the journey to this moment has been long and arduous (much like the adventure of the heroes in my book (although with decidedly fewer robots)). It’s with great joy that I get to share the victory dance at the end of the road. But before I do that, let me tell you a bit about my novel, THE 8TH CONTINENT. It’s the story of Evie and Rick Lane, who are determined to transform the Great Pacific Garbage patch—a real life pile of floating garbage—into an eighth continent, using a special formula developed by their father. This new continent will be a place where their family can live free from the intervention of Winterpole, a global rule-maker run by bumbling bureaucrats. But eleven-year-old pink-and-plastic-obsessed Vesuvia Piffle, the secret mastermind behind the villainous Condo Corp, also has her sights set on this new land, and she wants to use it to build a kind of Miami-on-steroids. Now, it’s a race against time and across the world as the kids gather the items they need to create their continent. Because whoever controls the eighth continent controls our future. And the future can’t be both “green” and pink. 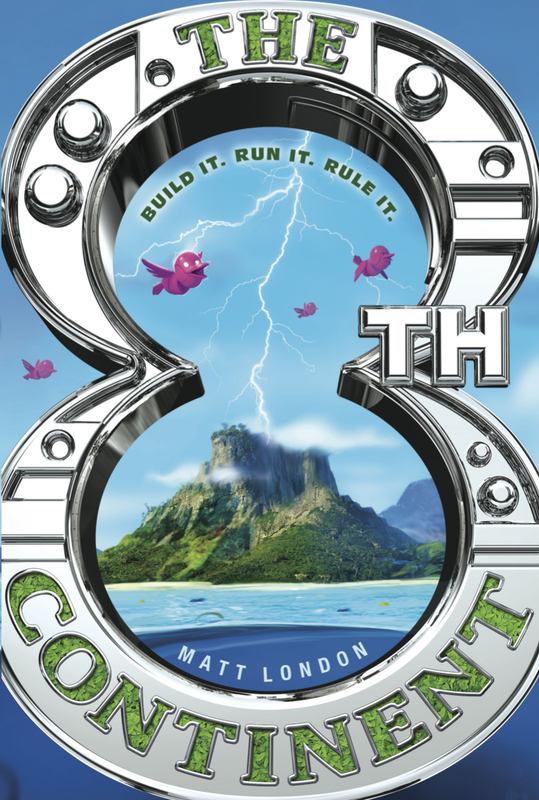 So if you like adventure, flying machines, robots, or saving the planet, then THE 8TH CONTINENT is the book for you. It was important that the cover of such a tale conveyed this message, and that’s exactly what it did. Will Rick and Evie build an island paradise like the one featured here? Well, you’ll have to read the book to find out. But I promise you wacky pink robo-birds and trash-clogged oceans are sure to make appearances. If you have questions about THE 8TH CONTINENT, feel free to drop me a comment here or write to me on Twitter, and if you’re so inclined, add THE 8TH CONTINENT to your Goodreads. The book comes out September 16th! Until then, happy continent building! Matt London is the author of THE 8TH CONTINENT, coming in September 2014 from Penguin – Razorbill. He is a writer and avid recycler who graduated from The Clarion Writers Workshop, and studied computers, cameras, rockets, and robots at New York University. When not investigating lost civilizations, Matt explores the mysterious island where he lives — Manhattan. The ice caps have melted. The coastal areas we once knew are gone, and only scavvers now live in the flooded towns. The world has changed, but as 14-year-old Danni Rushton soon discovers, it isn’t the first time… Living with her uncle after the tragic death of her parents, Danni s world is turned upside down when her aunt is assassinated. With her dying breath, she entrusts Danni with a strange, small rock. Danni must not tell a soul that she has it. But what is the rock for, and to what lengths must Danni go to keep it safe? This action-packed adventure takes the reader from the barren terrain of Greenland, to the flooded ruins of Cambridge, and on to a sinister monastery in Malta. In her effort to save her uncle and evade a power-hungry space agency, Danni discovers that friends aren’t always what they seem, and a rock isn’t always just a rock. 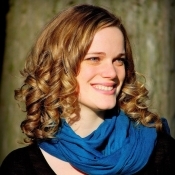 Welcome, Kate, to the OneFour blog, and kudos on the publication of RED ROCK! Can you tell us a bit about your path to publication? How did you get your agent? How long did it take before she placed your novel at Curious Fox? Most agents find their clients through the slushpile, but I am one of the minority that took a different route. When I spotted that Julia Churchill, an agent at A.M. Heath, was offering 1-2-1 surgeries at a local literary festival I made sure I booked myself a slot. It was too good an opportunity to miss. I had just finished writing Red Rock and I thought this would be great to get some industry feedback before I started submitting. Of course things never quite work out how you think they will. Julia loved my opening chapter and wanted to see the full. Weirdly she remembered an earlier effort of mine that she had rejected on a full about a year before and we ended up chatting about why that one hadn’t worked and not about Red Rock very much at all. Needless to say I was over the moon when she subsequently signed me. But that was only the beginning. The submission process is nerve racking—out your novel goes into the big wide world and then…you wait…and you wait….. But at last the call came and I’ll never forget that moment. I was out on my mountain bike when my phone went with the news that Curious Fox wanted to acquire, and I took the call sitting on a grassy bank outside a farm watching the swallows skim back and forth between the outbuildings. It was a magical moment. 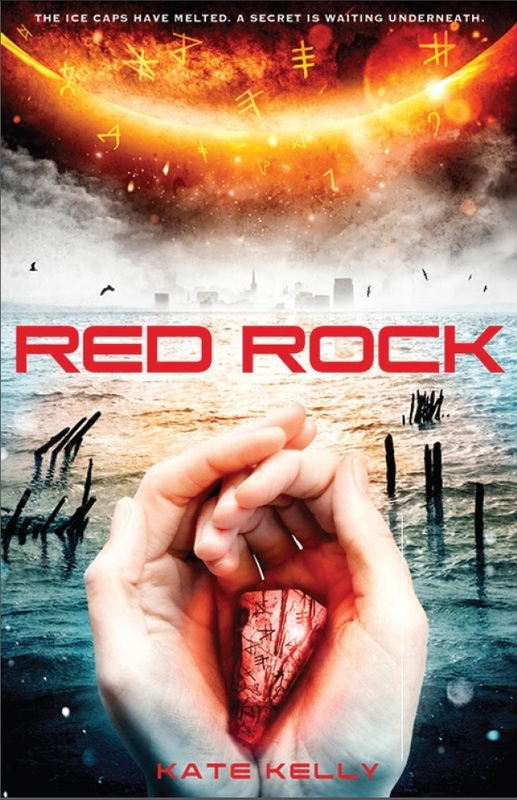 RED ROCK rocks as a MG sci-fi/thriller! 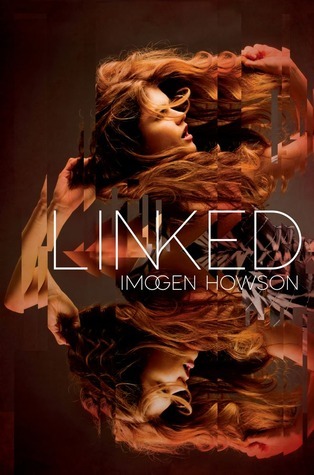 What authors influenced you in writing these genres? I have always been a huge fan of science fiction, and so many of the authors who have influenced me in this respect are the well know sci-fi authors – John Wyndham, Isaac Azimov and Ray Bradbury among others. But at the same time I have always loved a good adventure and none did this better that the Victorian novelist H. Rider Haggard. I used to seek out his books in second-hand bookshops and I loved the blend of lost civilizations and the age of exploration. I guess I wanted to capture something of this magic in my own work. Global Warming causing ice caps to melt is at the heart of your story’s premise. Why did you select this environmental theme? In a way I didn’t select it, it selected me. The fact that the Greenland ice sheet is retreating is fundamental to the plot, but you can’t just melt an ice sheet without taking into account the ramifications. Perhaps it is the scientist in me talking, but I then had to look at what effects this would have, and the more I investigated the more worrying the whole issue became. The sea level doesn’t need to rise by very much to have a devastating effect on large areas of the world. Not to mention the disruption of the ocean circulation patterns and the weather systems. The settings are fascinating–Greenland, Cambridge, and Malta. Have you been to these places? What made you choose them? How did you research your settings? I always like to set my stories somewhere I’ve actually been. Admittedly these days you can do an awful lot of research online – you can even get right down to ground level and explore a place in google street view. But for me to write authentically about somewhere I need to be able to feel it, smell it, sense the atmosphere and the only way I can really immerse myself like that is to actually go there. I’m fortunate in that I’ve travelled quite widely to some fascinating places so I have a lot of experience to draw on. And should I decide to set a story somewhere that I haven’t been—well now I have the perfect excuse to go there. What will you be doing for a launch? I’m holding a party in my local village hall, and the theme is Red. I’ve asked the guests to wear red and I’ll be dishing out red cakes and red wine, (and cranberry juice for the younger guests). As this community is All for One and OneFour KidLit, we’d like to know what two or three books inspired you as a child. Well I’ve already mentioned H. Rider Haggard, and of course he is best known for his children’s book King Solomon’s Mines, so I reckon that one has to go on the list. Then, like so many kids, of both past and present generations I was a huge fan of Enid Blyton, especially the Famous Five books, but I really don’t think I could single out any one, so I’ll just say all of them. Finally The Eagle of the Ninth by Rosemary Sutcliff brought Roman Britain alive for me, and I’ve been fascinated by archaeology ever since. 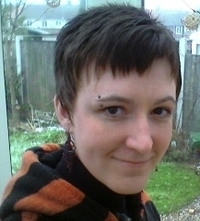 Lucky 13 debut author Kate Kelly has a love of the sea and literature. She was born in Scotland but grew up in rural Devon. Coming from a long line of seafarers she succumbed to the ocean’s call, studying geology and then oceanography at the university, and pursuing a career as a marine scientist. 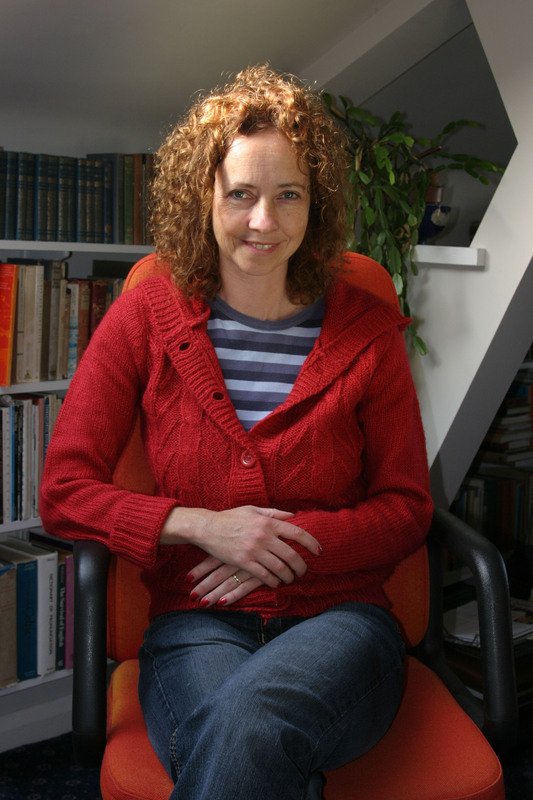 Kate’s passion for science and the sea influences many of the themes she explores in her fiction. Find Kate online at Twitter and Goodreads. Christine Kohler worked as a political reporter covering the West Pacific. Her YA novel is set on Guam during the Vietnam war: 15-year-old Kiko finds out that his mother was raped during WWII. When Kiko discovers a WWII Japanese soldier is hiding in the jungle behind Kiko’s house for 28 years, will Kiko take revenge? NO SURRENDER SOLDIER, Merit Press, Jan. 18, 2014. OneFour KidLit is absolutely plump with brilliant and amazing new writers. Today we’re going to introduce you to another: Patrick Samphire, author of the middle grade adventure, SECRETS OF THE DRAGON TOMB, to be published by Christy Ottaviano Books (Henry Holt / Macmillan). “Path” is a little bit too generous a word for my trip to publication. Path implies some kind of direction. For me, it was more like waking up in the middle of a bleak and windswept moor, and then wandering about dazed until I finally stumbled to a shelter. Or something like that. 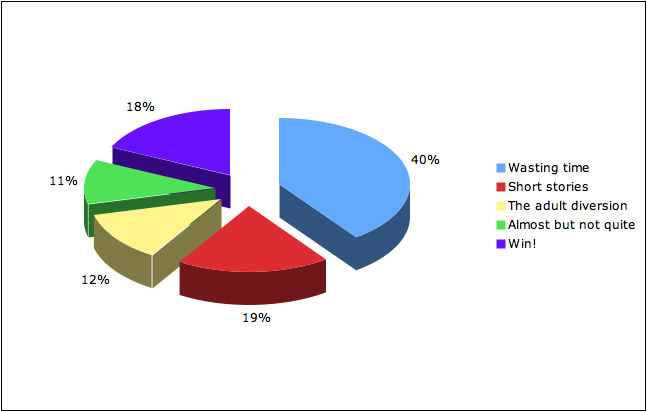 The blackberry-and-apple-pie chart of publication. For almost ten years, from when I went to University, I didn’t actually achieve anything. I wanted to be a writer. I read how-to-write books. I occassionally wrote the odd sentence or paragraph. But most of the time I did other stuff. In fact, if the Fates hadn’t got fed up with me noodling around, I might still be doing that. Instead, they dropped me into the most insanely boring job I’ve ever done. Every day, I sat behind a computer with nothing to do. Absolutely nothing. So, I started to think about writing again. I joined the online critique group Critters and started writing and critiquing short stories. Some writers — particularly science fiction writers — will tell you that if you want to learn how to write, you should start with short stories. I’m not sure I agree; there are too many differences between the forms, and most of the skills you need for a novel aren’t the same as you need for short stories. This is why many great short story writers can’t write novels, and why many great novelists can’t write short stories. Anyway, I took the advice and started with short stories, mostly for adults. I think I ended up getting seventeen or eighteen stories published in some pretty good magazines, and I’m still really proud of those stories. But the truth is, I’m not a massive fan of short stories. Some are brilliant, no doubt. They can be beautiful and heartbreaking and terrifying and hilarious. (If you haven’t read Light of Other Days, or Flowers for Algernon, or Slow Birds, or Gauging Moonlight, or The Last of the Winnebagos you’re missing out.) But when I have to choose something to settle down with, it’s always going to be a novel, and normally a big, fat fantasy novel. Eventually, I figured that if I was ever going to write the stuff I loved reading, I was going to have to just get on and do it. So I stopped writing short stories. I actually wrote a couple of pretty hefty adult fantasy novels, but they didn’t really spark. The less said about them the better. Suffice to say that the trees of the world do not regret that I never tried to get them published. I started writing middle grade novel almost by accident. I certainly hadn’t been intending to. But one day I had an idea that really could only be only told as a older middle grade or younger YA. It was a contemporary, magical realism called Touching Ice. If I had to compare it to anything, it would be to David Almond’s books. It got me an agent and nearly sold at a couple of publishers, but it never quite made it. I don’t think it’s an exageration to say that middle grade liberated me. Writing adult novels, I could never free myself from worrying about what cynical adult readers would think, and it stunted my writing. I think if you’re going to write, you have to throw yourself in headfirst. If you’re looking over your shoulder all the time, you’re going to break your neck. Or, er, something. Middle grade readers are demanding, but they’re not cynical or self-conscious. If they hate your book, they’ll say it, and if they love it, they’ll say that too. They’re honest and open. 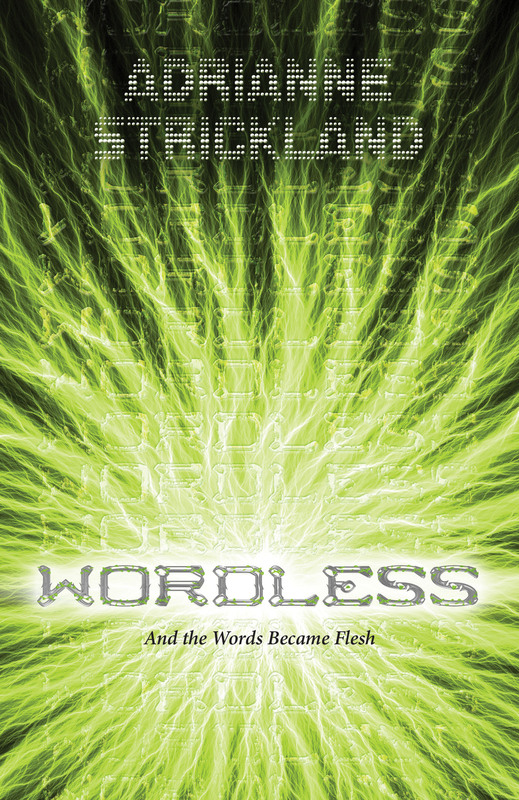 I stopped worrying about what readers would think, and just wrote what I loved writing. My next middle grade book was an alternate-world adventure based on Norse mythology, and that nearly made it at a couple of publishers, too. Finally, I wrote SECRETS OF THE DRAGON TOMB. I changed agents to my current, brilliant agent, Jennifer Laughran of Andrea Brown Literary, who threw herself 100% behind it and sold it to Christy Ottaviano Books (Henry Holt / Macmillan). Right now, I’m writing the sequel, provisionally entitled THE EMPEROR OF MARS. Well, not right now. Right now I’m writing this blog entry. But I should be writing the sequel. In my head, I think of SECRETS OF THE DRAGON TOMB as Indiana Jones meets Bertie Wooster and Doctor Who on Mars. With dragons. 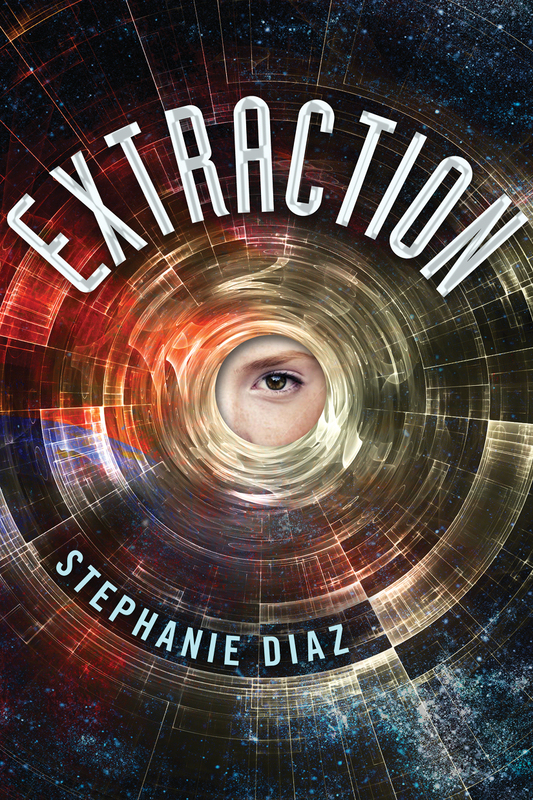 Fourteen-year-old Edward Sullivan has always dreamed of becoming a spy like the ones he reads of in his favorite magazine, Thrilling Martian Tales. Instead, he spends his days keeping his eccentric family from complete disaster … that is, until the villainous archeologist, Sir Titus Dane, kidnaps Edward’s parents as part of a scheme to loot an undiscovered dragon tomb. Edward sets off in pursuit across the Martian wilderness. With him are his brilliant and outrageous little sister, Putty, his impossibly starchy older sister, Olivia, and his secretive cousin, Freddie. Together they must evade Sir Titus’s minions, battle mechanical nasties, and escape deadly Martian hunting machines. If they can’t, they will never uncover the secrets of the dragon tomb and rescue Edward’s family. You can find SECRETS OF THE DRAGON TOMB on goodreads. Now, about mumble-mumble years later, it’s finally happening. And, somehow, I’ve been doing this so long that it doesn’t seem real at all. But there is one thing that I totally wasn’t expecting, and that’s what I’m really absolutely most excited about. My book is going to have illustrations! I can’t wait to see a copy, a real copy, with real pictures done by a real artist of my story. It’s going to be awesome! I may do nothing but stroke the book for several years. – I spent a big chunk of my childhood living in a small town in rural Africa, where my dad was teaching. I think I still remember how to make a brick out of mud and straw. To get to school, I had to sneak across an airfield, avoiding the guards. – I’m married to another writer, Stephanie Burgis, who also writes middle grade novels. Her first book, Kat, Incorrigible, was published in 2011, and her most recent book, Stolen Magic, has just come out. I’m racing to catch up! – When I’m not writing, I design websites and book covers. – I live in Wales, U.K., right beneath a mountain that looks just like a volcano. So far it hasn’t erupted, but it can only be a matter of time, right? – If you want to make me happy, take me out for an Indian meal at Prashad near Bradford, U.K. Seriously, they make the best food in the world. Okay, now I’m drooling in an incredibly undignified way. Patrick Samphire’s first book, SECRETS OF THE DRAGON TOMB, is a cracking MG adventure set on 19th century Mars. Patrick has been a teacher, physicist, editor, web designer, explorer, and dinosaur hunter. He’s lived in Africa, South America, Europe, the U.K., and on several small asteroids part way between Mars and Jupiter. You can often find him on twitter: @patricksamphire. Not everything in this biography is true. We have a lot of fantastic authors at OneFour KidLit and are excited to introduce them all to you. Today we’re talking to Lynne Matson, author of NIL, coming in Winter 2014 from Macmillan/Henry Holt. One author, four questions. Here we go! It’s all still a bit surreal, to be honest. I think most authors probably feel this way, because it takes so much work and perseverance to get here. I grew up in a house full of books in a family of readers. I can still remember sneaking my Nancy Drew book under the covers with a flashlight after being tucked in because I had to know how the book ended. Growing up, I dreamed of being a reporter or a journalist or a writer . . . something, exciting, something involving writing. I ended up becoming a lawyer, which is much more exciting on tv than in real-life. Fast-forward to a few months after I had my fourth son (and was no longer practicing law), I had an idea and began writing, just for me. My idea grew into a 125K YA novel. It was too long, too rough, and I queried way too soon. Rookie mistakes all around. While I while still querying my first novel, I wrote two books at once, which sounds crazy. Soon I had one novel dead in the water (my first), and two fresh books full-written. One, a YA post-apocalyptic novel, and the other a YA light sci-fi thriller (NIL). Then I had to choose which novel to polish and query. I chose NIL, and I’m so glad I did. I queried NIL, clicked right away with Jennifer Unter (who is amazing) and signed with her in February 2012. Jennifer sold NIL to Henry Holt/Macmillan a few months later. On the island of Nil, the rules are set. You have one year. Exactly 365 days. To escape–or you die. Seventeen-year-old Charley doesn’t know the rules. She doesn’t even know where she is. The last thing Charley remembers is blacking out in an Atlanta parking lot, and when she wakes up, she’s lying naked in an empty rock field. Lost and alone, Charley hunts for a way out. She discovers desolate beaches and human remains, but no sign of civilization–until she meets Thad, the gorgeous leader of a clan of teenage refugees. Soon Charley learns that leaving the island is harder than she thought . . . and so is falling in love. With Thad’s time running out, Charley realizes that to save their future, Charley must first save him. And on an island rife with hidden dangers, their greatest threat is time. Definitely. Here’s the scoop on how NIL was born. It was February of 2010. I’d gone to Hawaii (the big island) with my husband, our first getaway from our four boys, evah. It was a work trip for him. As we left the airport, minutes after landing, we drove through ancient lava fields. Bleak and gorgeously desolate, the red rock fields stretched for miles on each side; no roads, no buildings, no people–just the sound of the wind blowing over the rocks. Totally in awe, I remember thinking how creepy it would be to wake up there, all alone, with no one around to help you or tell you where you were, and how much it all looked like an alien planet (think DUNE). NIL was born that afternoon. I wrote 20K words on my laptop over the next 10 days. –I’ve worked as (among other things!) a waitress, a bartender, a shoe model, a salesperson at the GAP (where I actually was shown how to fold a t-shirt using a clipboard), and a lawyer. –I have journals full of really bad poetry I wrote in high school that will never see the light of day. Seriously. –Cookies are my kryptonite. Other vices? A fountain vanilla Coke–I love all things vanilla. Oh, and I love chocolate too, especially dark chocolate. And cheese! I love cheese. Ok, I’ll stop now. –I read freakishly fast. I usually finish every book I start in one sitting, but the good ones I’ll think about for days. –I can’t write without music. –I have a solid three-point shot, a strong forehand, and a respectable marathon time. My latest sports obsession? Paddleboarding. Lynne Matson is a former attorney with a weakness for books, cookies, and alternative tunes. Her debut novel, NIL, a YA light sci-fi thriller, is coming Winter 2014 from Macmillan/Henry Holt. When she’s not writing, reading, or at a concert, you’ll find her hanging out with her husband and their 4 boys. Lynne also lives on Twitter at @LSMatson, where she shares cookies.